Workplaces are becoming more vigilant about the dangers of alcohol and drugs in the workplace, with many now choosing to breathalyse their staff. One local council in Queensland has chosen to purchase 18,000 disposable breathalysers for voluntary testing. Workers will be able to use these after lunch or a night of heavy drinking to check their blood alcohol content (BAC). However, Andatech has stated that the council would have been better off purchasing wall-mounted breathalysers instead of disposable ones. 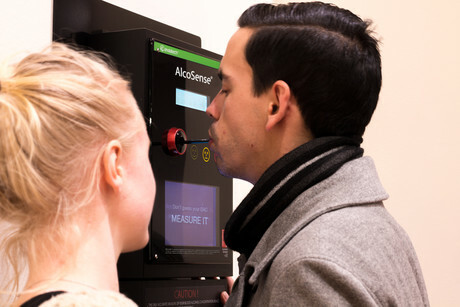 According to Irwandy Tan, CEO of Andatech, the amount spent on disposable units — which was reported in the media as being around $35,000 — could have been better spent on wall-mounted and personal breathalysers to provide a long-term solution. “While many workplaces conduct random alcohol and drug testing, providing a voluntary system where employees can check themselves at any time allows employees to be responsible for their actions, which is a good thing,” he said. Andatech produces Australian Standard-certified breathalysers, which are designed for personal use, workplaces and hospitality venues. Tan said workplaces and venues can install a wall-mounted breathalyser to determine accurate readings of employees’ BAC to three decimal places. He said that for the same amount of money, the Queensland council could also have purchased around 160 personal breathalysers that employees could take with them to lunches and meetings so they could test themselves before they return to work. “For the council’s investment, I believe a better option would have been a mix of wall-mounted units and handheld personal breathalysers that come with removable mouthpieces,” Tan said. Andatech is a 100% Australian-owned company that designs, supplies, supports and services safety products including high-quality alcohol and drug testing equipment.